Hey, Mom. Look at what I’m doing – | there's no place like gnome. Cross stitching was one of my very first adventures into the crafting world. My mom taught me to cross stitch as an elementary schooler. Well, guess what? I’m doing it again. I feel like cross stitch, much like quilting, is experiencing a modern resurgence. And I’m jumping on board. So far, it’s just really bossy, telling us to GO. But soon it will say something much nicer. I bought the pattern off of etsy – a place where you can buy lots of ‘modern’ patterns. What do I like about this return to cross stitch? First, it is much, much, MUCH cheaper than quilting. Pattern, thread and cloth cost me well under $10. Second, it’s highly transportable and can be done nearly anywhere. Third, it’s got snark. 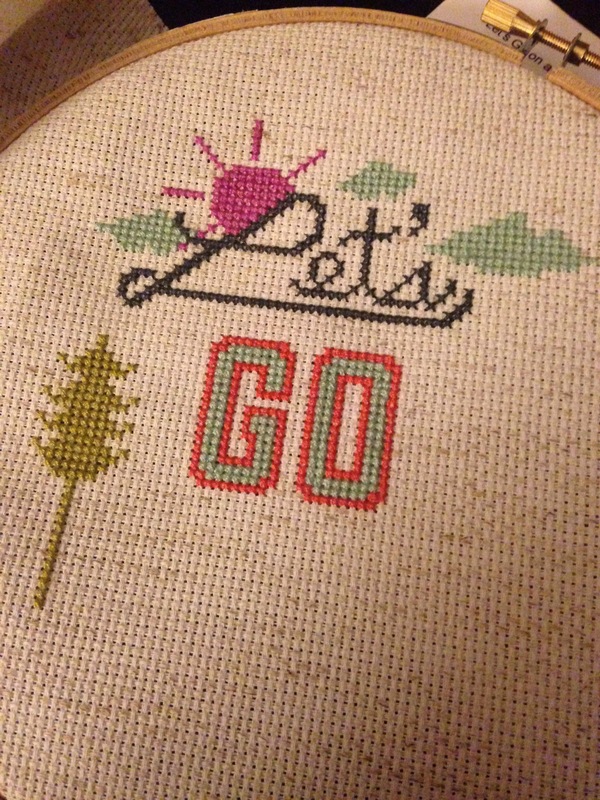 Snarky cross stitch. It’s a thing. It’s fun to see something completely snarky or random cross stitched in pastels with flowers. (ie ‘Damn, it feels good to be a gangster’ or other things I would never write here or hang in my own house.) It’s fun. I wouldn’t be surprised if from now on, I always have a quilting project (or six) in progress along with a cross stitch project of some kind. It is, after all, Downton Abbey and Bachelor season; I need something to keep my hands busy while watching!